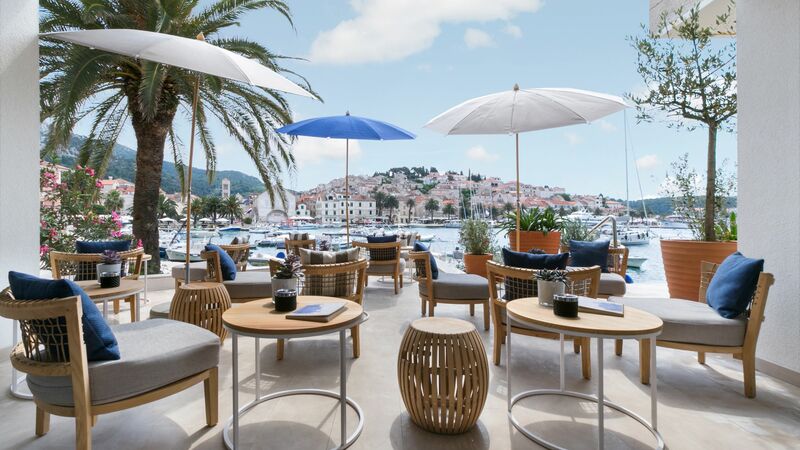 Located on an island just off the south coast of mainland Croatia, Hvar Town is perfect for couples wanting to soak in the quiet side of Croatia’s culture. Arrive in the harbour by catamaran and watch the yachts and fishing boats as they bob side by side. Head into the square and stop off in bars, cafés and restaurants, serving everything from fine gourmet cuisine to takeaway slices of pizza and delicious varieties of ice cream. You can enjoy the idyllic Hvar as well as the largely uninhabited Pakleni Islands along the Dalmation Coast. Surrounded by luscious hills and filled with terracotta buildings, head up into the streets of Hvar for souvenir shops and boutiques and the many historic sights and attractions. History lovers can wander through the 15th Century monastery to see the famous Last Supper painting or listen to the sounds of the bells in the cathedral. The whole town is surrounded by 13th Century walls, and the Spanish Fortress is the perfect place to take in the views of the town and its pretty harbour. If you prefer to spend the day on the beach take a boat trip to one of the uninhabited Pakleni Islands nearby and enjoy golden sands and crystal clear waters. Hvar Town is steeped in luxury facilities; from gourmet restaurants to cosmopolitan bars, offering an excellent range of cuisines, fine wines, cocktails and champagne. Wander along the pretty streets and stop off in one of the boutiques where you can pick up unique items, souvenirs and gifts. Spend the day in the spa and enjoy head to toe pampering with massages, facials, body wraps and lots more. Alternatively, simply take in the views of the luxury yachts anchored just off the shore or book boat trips along Croatia’s beautiful Dalmatian Coastline. At Sovereign our luxury holidays in Hvar include the little details as standard. Each of our holidays comes with airport lounges and private transfers, as well as carefully selected hotels and expert advice from our Trusted Advisers. Choose the Adriana Spa Hotel where you can enjoy beautiful views of the harbour, a rooftop swimming pool, selection of lounges and bars and a gourmet restaurant. Each of the rooms is elegantly decorated and the spa offers a fantastic range of treatments.